If you happen to be in the market of selling your diamond ring there are some wonderful tips to consider. 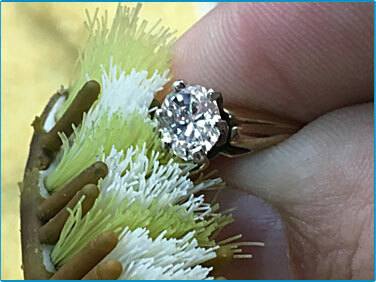 First off, if you plan to sell the ring to a diamond buying service, like Speedy Diamond you do need to clean your ring. A cleaner ring doesn’t increase or decrease the value to us. With that being said, I always try to give sellers some sound advice on selling a diamond ring to an individual if they choose try that route. A clean ring always fetches a higher value. 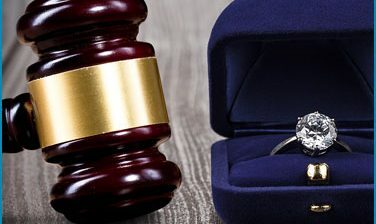 The best way is to have it professionally cleaned, many local jewelry stores will clean your ring at no charge as a common curtesy. Our store cleans rings for visitors everyday. There’s really nothing that can beat the cleaning capability of an actual jewelry store. A high polish on the metal with a buffing wheel, the heated soap in the ultrasonic cleaner and the steamer to blast debris, it’s really the ideal way to prepare a ring to be told back to another individual. Also if the ring is “white gold” it could use a rhodium plating. Most jewelers will charge for that (probably $45-$75) service. This turns the ring back completely white, because white gold isn’t naturally white, it’s an alloy mixing white metals with gold (inherently yellow). It’s nice touch on an expensive ring, but we’ve seen them sell without being plated as well. Don’t have a jeweler that you can trust? Or a jewelry store near you? That’s ok. There are some things that you can do on your own. 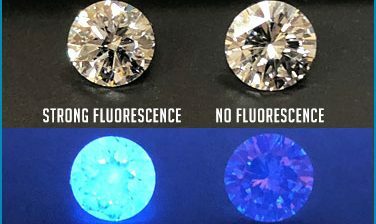 A good basic cleaning really help make the diamonds sparkle. Lots of times the diamonds on a ring get dirty from lotions, cooking ingredients, or anything else that wedge it’s way into the hard-to-reach areas of your ring. 1. Soak your ring in warm water with a little bit of standard dish soap, the heat from the water will loosen the debris. We suggest 30 minutes to an hour. 2. Don’t do the next step over the sink or any type of drain. Sometimes if the stones are loose, the dirt may be the only thing keep them from falling out. 3. Grab a tooth brush and clean all round the ring. On top of the diamonds and even under the diamonds. The dirt rarely comes out easily. 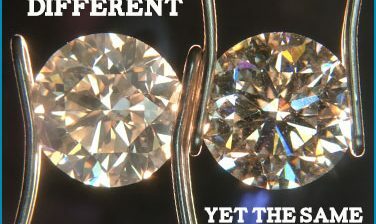 We normally see a film of dirt on the bottom side of every diamond we make an offer on. 4. Wash the ring in clean water and pat it dry, make sure you don’t snag a prong. You could possibly bend one if you were not careful. Divorce vs. Broken Engagement: Whose Ring is It?